Vladmir Babak and Reuters’ Missile Launch Witnesses – How Do They Fit With What We Know About MH17 So Far? In the last few days there have been a pair of interesting stories relating to the downing of MH17 in Ukraine that have attempted to shed more light on what happened on July 17th. Vladmir Babak, part of the team that designed the SU-25 and a senior figure at the SU-25’s manufacturer and developer Sukhoi Attack Aircraft Concern stated in an interview that an SU-25 would be unable to safely fire its weapons at the same altitude as MH17, and that an air-to-air missile fired by an SU-25 would have not been able to cause MH17 to break up in the way it did. He also went on to add he believed MH17 had been shot down by a Buk missile. Yesterday, Reuters published a report, From ‘Red October’ village, new evidence on downing of Malaysian plane over Ukraine, where witnesses near the town of Snizhne described the launch of a missile on July 17th that downed flight MH17. But how do these new reports fit with other information published about the downing of MH17? As we’ve previously noted on Bellingcat, the various claims about an SU-25 being used to down flight MH17 have been inconsistent at best. Vladmir Babak’s statement adds a new dimension to these statements as it excludes certain scenarios and makes it clear certain claims that have been made are false. Due to the very short effective range of the cannon used by the SU-25 Babak’s claim would exclude scenarios such as the one proposed by the Russian Union of Engineers where an initial attack on the cockpit with cannon fire, disabling the black box recorder, was followed up by an attack with an air-to-air missile. It was also interesting to note in Russia Today’s response to Babak’s claim none of the experts addressed Babak’s statement that the SU-25 could not fire its weapons at an altitude of 10km, instead referring to the SU-25’s ability to fly above that altitude, something Babak himself confirmed was briefly possible. In the same Russia Today piece they spoke to Gordon Duff, who has previously made a series of bizarre claims, including Google Ideas being involved with the August 21st 2013 Sarin attacks in Damascus (more details here), who stated “you can’t fire a missile on a flat area in the middle of the day leaving a smoke trail into the air and having everyone not see it”. Fortunately for Duff, Reuters was on the case. As detailed in Bellingcat’s earlier analysis of the various evidence of the Snizhne launch site, the “Red October” area is close to the site identified by a number of different sources, including the Zello witness. The below map shows the position of the Zello witness in the Red October area, as well as the position of a field believed to be the launch site and visited by the Daily Telegraph journalist Roland Oliphant. The lines marked in brown indicates the direction of a smoke column visible in photographs taken moments after the downing of flight MH17 (more details here). It’s also worth noting the Buk missile launcher Bellingcat tracked travelling from Donetsk to Snizhne on July 17th unloaded from its transport vehicle in the town of Snizhne and was filmed heading south out of Snizhne only a couple of kilometres from the above launch site, heading in the direction of the launch site, only a few hours before MH17 was shot down. The new witnesses interviewed by Reuters adds to the information that points to this separatists controlled area as being the launch site of the missile that downed MH17, and, along with Vladmir Babak’s statements, further debunks claims an SU-25 was used to shoot down MH17. 3. “Not a spy” found the system “buk;radar” on UKR border. 4. 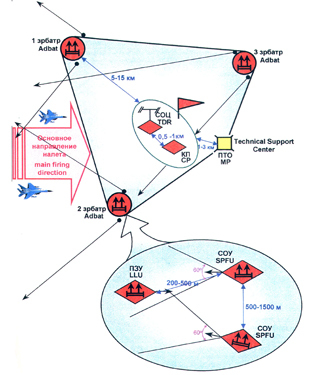 17 july (Buk Snijne / Red october) + (radar;command item on UKR boder) = shot down mh17 ! ?